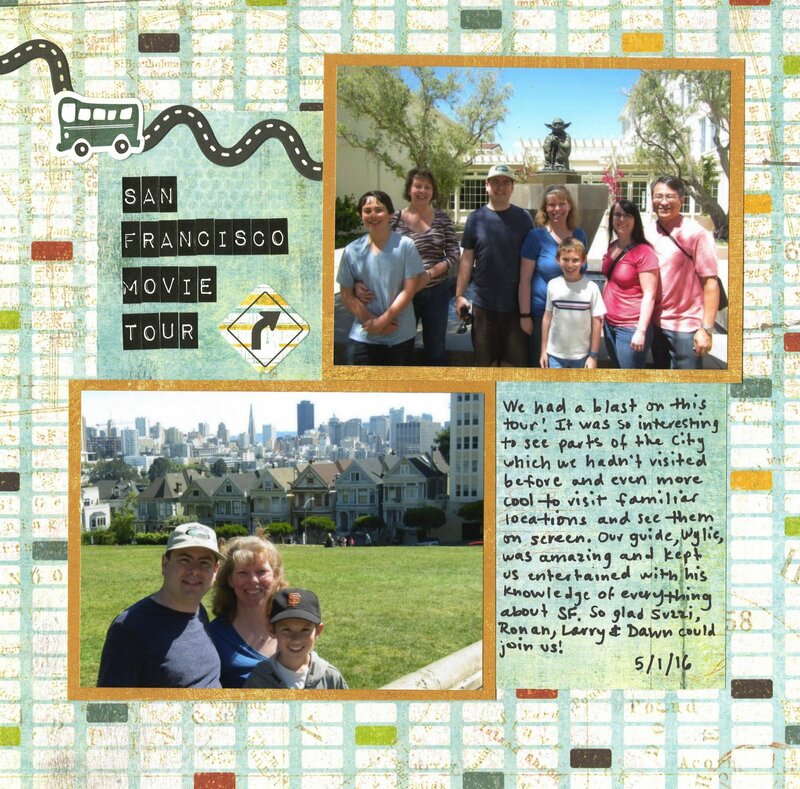 BasicGrey's Wander line was perfect for scrapping our adventures on the San Francisco Movie Sites Tour. This outstanding tour was item #8 of my 40-4-Steve project. You can find a complete description of the tour here. 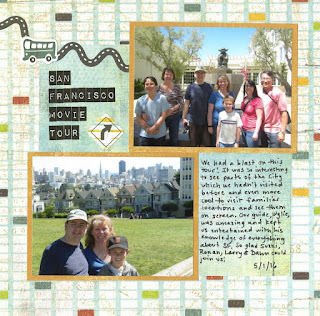 There's also a coupon code for $10 off every ticket if you'd like to take the San Francisco Movie Sites Tour. I highly recommend it for practically anyone, tourist or local. It would make a fantastic gift for Father's Day or any upcoming occasion! Those papers are perfect for this! LOVING it!!!!!!!!!!!!!!!!!!!!!!! !